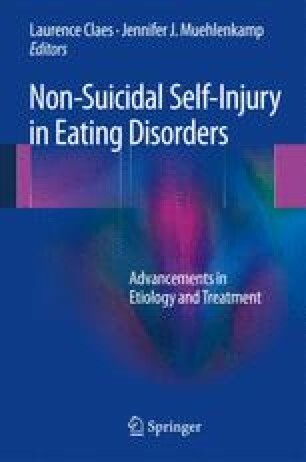 Eating disorders (ED) and non-suicidal self-injury (NSSI) are serious, impairing, and potentially life-threatening conditions that typically require care across the continuum, from primary care to inpatient care. Primary care practitioners (PCPs) are critical to the treatment of ED and NSSI, playing important roles in identification and assessment. Numerous tools have been developed to facilitate PCPs’ involvement in the continuum of care for ED. Although similar tools have not been fully developed or evaluated for NSSI, promising practices are available for PCPs to address NSSI. Recommendations are also available for determining the best level of care for ED and NSSI, including when to refer for inpatient treatment. Inpatient treatment for ED and NSSI is a critical part of the continuum of care for these conditions, especially in establishing safety, stabilizing symptoms, and beginning the process of recovery. Increased attention by researchers and providers to the role of PCPs and inpatient levels of care in the continuum of care for ED and NSSI will go far to improving our treatment of these complex conditions.